In a Microsoft blog post July 13th Microsoft announced the general availability of Windows Server and SQL Server ‘license subscriptions’ through the Microsoft Cloud Solution Provider (CSP) program. That is indeed some news, because this is the first time that intended, classic on-premises licenses are available through a cloud subscription program. But we must not be too happy yet, because some questions remain (see below). But let’s start with the good news. Customer were always able to subscribe to Azure VM (virtual machines) for their cloud infrastructure and those VMs do have a Windows Server License. They are great for ad-hoc capacity demands, but are a bit expensive for more consistent, longer lasting cloud workloads. For those type of workloads, Microsoft introduced earlier the ‘Azure Reserved Instances’ (RI), simply computer, networking and storage based virtual machines. They are a lot cheaper, but do not have a Windows Server license. Customers using those RIs were depending on the Azure Hybrid Use Benefits under their Software Assurance on Volume Licensing contract. But those customer who didn’t have that, there was no way to license the Windows Server. Up to now …. In the July commercial CSP price list we notice several new subscriptions: Windows Server, SQL Server (both Standard and Enterprise) and Windows Server Client Access Licenses (note, both per user and per device available). 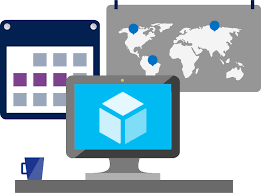 Because customers subscribe to the Azure RIs for a 1 or 3 year period, the above mentioned Server subscriptions are also available for a 1 or 3 year period. Though the new CSP subscriptions are meant for use with Azure RIs’, the July Microsoft Product Terms (Server Subscriptions for Azure; 2.2.2. and 2.3.2. Using the Software on Customer’s Servers) show us that customers are eligible to use the Server software on their premises too. This is a good option for customers who do not want to invest in costly Microsoft Licensing Agreements but seeking a more flexible cost effective way to license Windows Server and SQL Server. Good to know, customer may re-assign licenses from Azure to dedicated servers, but not more frequently than once every 90 days and customers are not allowed to use the licenses on Azure and on premises at the same time (except for a transition grace period). • How do customers get an installation key for the server software, will it be provided through the CSP portal? UPDATE: the installation key for the server software is provided within Partner Center, that’s the CSP partners portal. The CSP partner is to provide the installation key to an end customer when the CSP partner does not install and manage the Windows Server software. And many more questions, more technical, we don’t want you to bother about now. We are determined to get the answers from our Microsoft peers soon and make updates available within our knowledge base. Do you want to explore the opportunity for a more flexible, cost efficient and modern way to license your Windows Server and SQL Server software? Please do contact the software licensing and cloud subscription experts of Quexcel. We are happy to help you build scenario’s from which you can make the right strategic decision. Good to know, Quexcel is Microsoft CSP partner and with that we are happy to fulfil your CSP subscription.